Out with the old, and in with the new – another decade come and gone. I hope you all spend New Year’s Eve exactly the way you want to. Remember to party responsibly and don’t do anything stupid; it could very well end in death. This year ends a bit differently than most – with a Blue Moon. When there are two full moons in one month, the second of the two is called a Blue Moon. 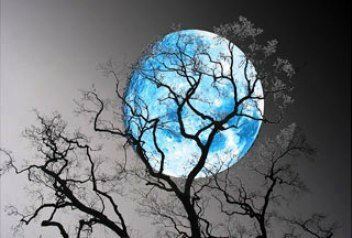 A normal year sees one full moon per month, but because the lunar cycle is only 28.5 days, there is a Blue Moon every two or three years. In calculating the dates for Lent and Easter, the Clergy identify the Lent Moon. It is thought that historically when the moon’s timing was too early, they named an earlier moon as a “betrayer moon” (belewe moon), thus the Lent moon came at its expected time. The Farmers’ Almanac defined blue moon as an extra full moon that occurred in a season; one season was normally three full moons. If a season had four full moons, then the third full moon was named a blue moon. 53 queries in 1.559 seconds.